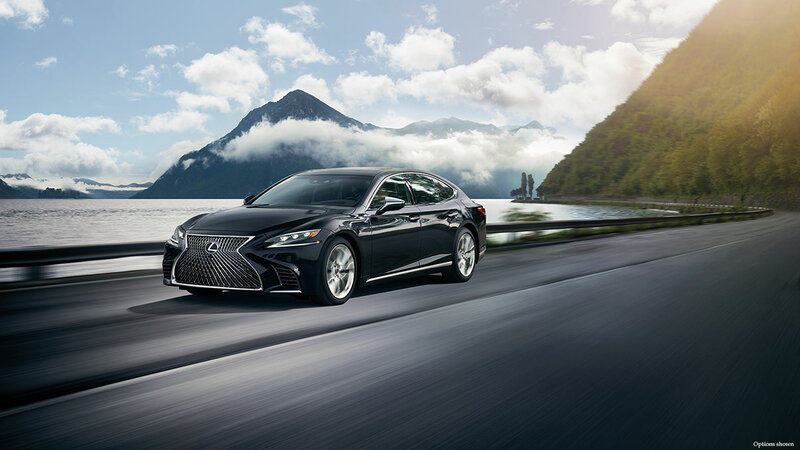 Lexus is known for the production of luxury cars around the world and the car brand has introduced their 2018 LS 500 in the market, which is a true example of craftsmanship in design and excellence in performance. Hosting an interior that is full of luxuries and an aerodynamic exterior, the sedan is capable of delivering a remarkable performance under all conditions. 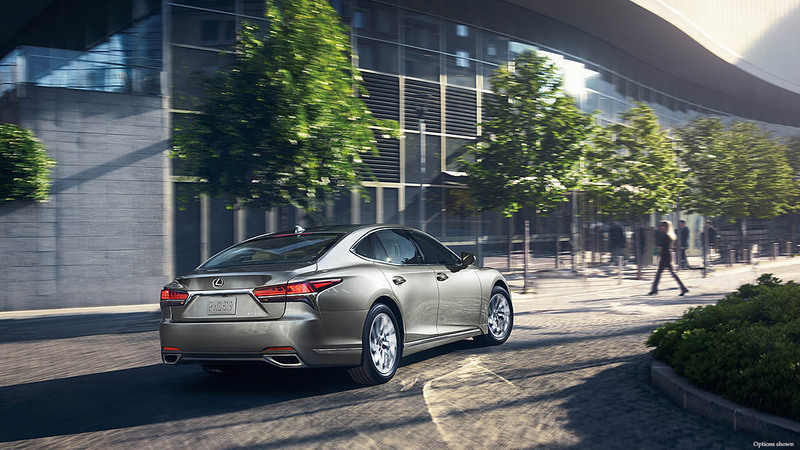 Built on the platform of the powerful LC Coupe, this is the first sedan of its class to feature a twin-turbocharged engine that is capable of making the ride comfortable. The 2018 Lexus LS 500 offers a class-leading styling that makes it a sight to behold. The sedan is one of the brand new luxury cars and has an aggressive exterior styling attracts the attention of car enthusiasts. It has a luxurious interior where the stunning Shimamoku wooden trim in the steering wheel and dashboard creates a befitting texture. Here is a detailed review of the new LS 500 where we take a look at its exterior, interior, performance attributes, technologies, safety features and much more. The new Lexus LS 500 is designed to deliver an exhilarating performance in challenging road conditions. It has an eye-catching exterior with the exclusively designed bumper, wheel rims, and front guards that make it look more attractive. The interior of the sedan exudes sophistication from every corner and is laced with luxuries to make the ride comfortable. The luxury cars are designed to bring exclusive styling into the market as does the 2018 Lexus LS 500. It has an aerodynamic body that improves the performance and fuel efficiency. The front fascia of the sedan is equipped with striking spindle grille that keeps the engine cool for better performance and adds to the sedan’s aggressive profile. It has air vents in the front bumper that reduce air drag to a minimum for better stability during the ride. The new Lexus LS 500 is one of the best luxury brand car that has cutting-edge and chrome plated side moulding on the body, which makes it look striking from every angle. The sedan has UV-Cut/Infrared Ray-Cut Green Tinted Glass in the windshield that keeps the cabin cool even in hot summer days. The 2018 Lexus LS 500 features 3-Eyes projector LED headlamps with Auto Levelling System and Auto High Beam that keep the road illuminated in a perfect manner. It has LED wide-angle cornering lamps that improve the sedan’s visibility for other commuters. The rear side of sedan features fog lamps, which allow the approaching vehicles to keep a fair distance from the sedan. Lexus has fitted a moon-roof with power tilt/slide and Jam Protection System in the new LS 500 that provides extra headroom to passengers. It has 20-inch alloy wheels that provide a strong grip with the road for a smooth and efficient ride. 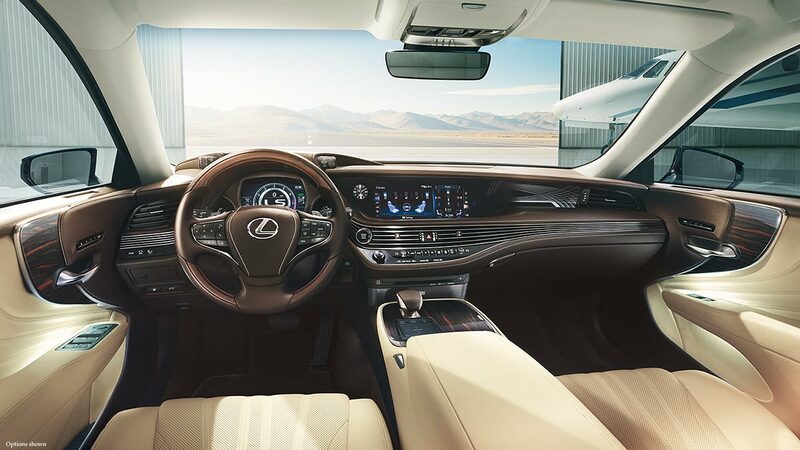 The interior of 2018 Lexus LS 500 is the epitome of luxury and sophistication. It has exclusive wooden trim in the cabin that makes it look sophisticated from every angle. It is among the luxury cars that come with top luxuries in the cabin to deliver a comfortable ride under all conditions. The 2018 Lexus LS 500 has ambient LED lighting in the cabin that is fitted to elevate its cabin’s beauty. A three-spoke wood and leather trimmed steering wheel with driver’s assistance controls is fitted in the cabin to allow smooth control of the vehicle to the driver. An LFA-Inspired digital instrument cluster with 8-inch color TFT display is fitted behind the steering wheel to display information related to important functions of the sedan. 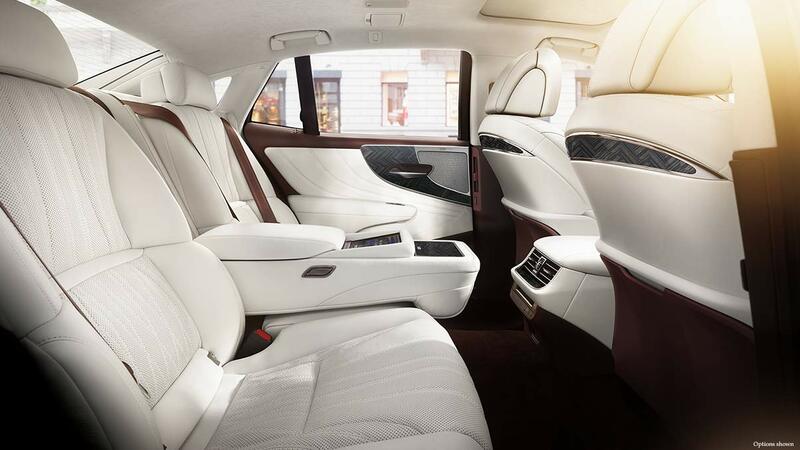 Car brands are introducing ergonomic features in their cars and the new Lexus LS 500 is among the brand new luxury cars that are designed for the enhanced convenience of the passengers. It has a dual-zone automatic climate control with Climate Concierge System that effectively maintains the temperature of its cabin in changing weather conditions. The sedan has a spacious cabin that provides ample headroom and legroom for front and rear passengers to make the ride comfortable. The available leather-trimmed seats are perfectly fitted in the cabin of the 2018 Lexus LS 500 that provide seating up to 5 passengers. It has heated and ventilated front-rear seats that allow passengers to set their preferred seating temperatures according to preference. It is one of the best luxury cars and features 28-way power adjustable front seats with lumbar support for better comfort during the ride. 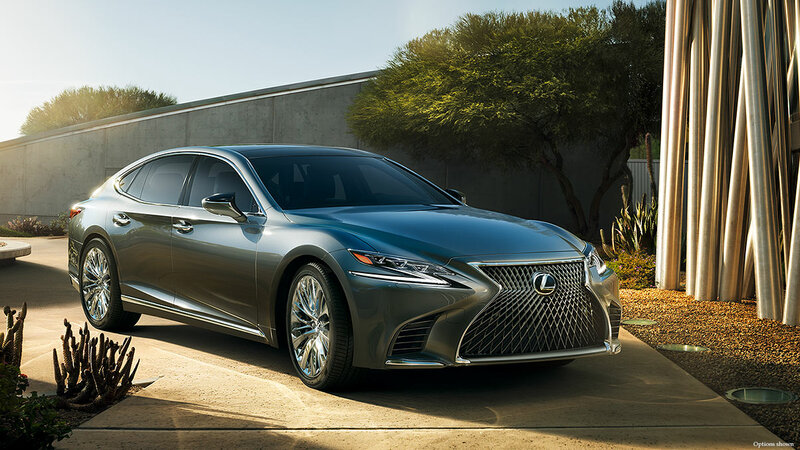 The 2018 Lexus LS 500 is among the luxury cars and is equipped with exceptional performance attributes that are capable of delivering a strong performance. It is a rear-wheel drive sedan while an optional four-wheel drive terrain is also available for the convenience of passengers. The sedan features an Adaptive Variable Suspension System with active dampers that adjust the vehicle’s suspension in different road conditions for a smooth driving experience. Inspired by the LFA Supercar, Lexus has introduced Drive Mode Select System in the 2018 LS 500 that allows the driver to select among different available driving modes according to the changing road conditions. The available driving modes in this best luxury brand car are Normal, Comfort, Eco, Custom, Sport, and Sport+. The all-new Lexus LS 500 is the first sedan in its class to house a 3.5-litre Twin-Turbocharged V6 24-valve engine that is capable of producing 416 horsepower and 442 lb-ft of torque. This engine is paired with a new 10-speed electronically controlled direct-shift automatic transmission with paddle shifters and has a top speed of 136mph. With this engine, the sedan can go from 0 to 60mph in just 4.6 seconds. It has a fuel efficiency of 19mpg in the city, 30mpg on the highway, and 23mpg combined. 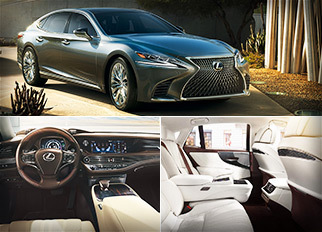 The 2018 Lexus LS 500 is equipped with a number of advanced technologies that make the ride entertaining. 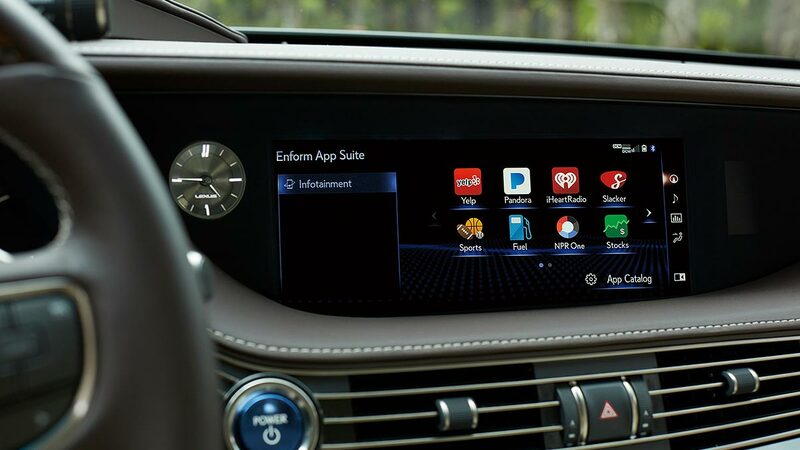 It has a 12.3-inch high-resolution split-screen in the center of the dashboard that provides an immediate access to multimedia and other technologies during the ride. Lexus has introduced modern safety features in the new LS 500 that make the ride safe under all conditions. 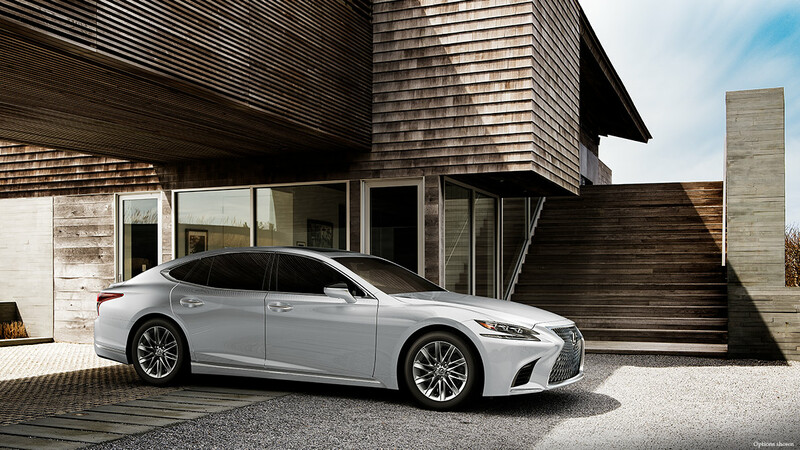 The sedan for the first time feature Lexus Safety System+ that make it an ideal safe sedan to drive. Lexus has already introduced their 2018 Lexus LS 500 in the UAE. This luxury sedan is available at a starting price of AED 325,000. These days, luxury cars are coming with advanced technologies and powerful engines that are capable of making the ride comfortable under all conditions and the 2018 Lexus LS 500 does the same in style. It is fitted with a twin-turbocharged engine and modern safety features that make the ride an unforgettable experience. Moreover, the exterior and interior of the sedan are designed to make it look attractive and to deliver a comfortable ride.